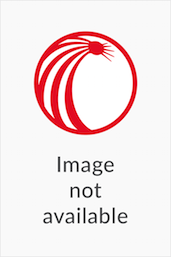 The Local Government Library 2018 update set includes all 2018 promulgated amendments to Acts and Regulations contained in the Local Government Library. Purchasing this set will ensure that your library is brought up-to-date at a fraction of the cost. 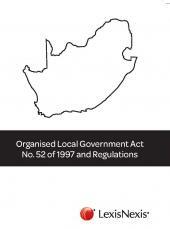 Local Government Municipal Finance Management Regs 56 of 2003. 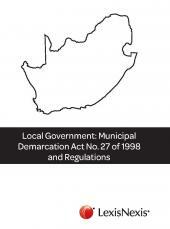 Local Government Municipal Finance Management Act No. 56 of 2003 and Preferential Procurement Policy Framework Act No. 5 of 2000 and Regulations. Division of Revenue Act No. 1 of 2018. Local Government Municipal Systems Act No. 32 of 2000. Traditional Leadership Governance Framework 41 of 2003. Disaster Management Act No. 57 of 2002.